I love animals. I love fashion. I love to paint. So I combined them and I discovered that people who share my passion for their animals tend to enjoy seeing a customized portrait of their pet donning an elaborate costume that perfectly captures his or her personality. I hand paint on canvas using a photograph of your pet and a description of the attire you choose. Don’t worry, there is no posing, sitting still and dressing up involved for your pet. 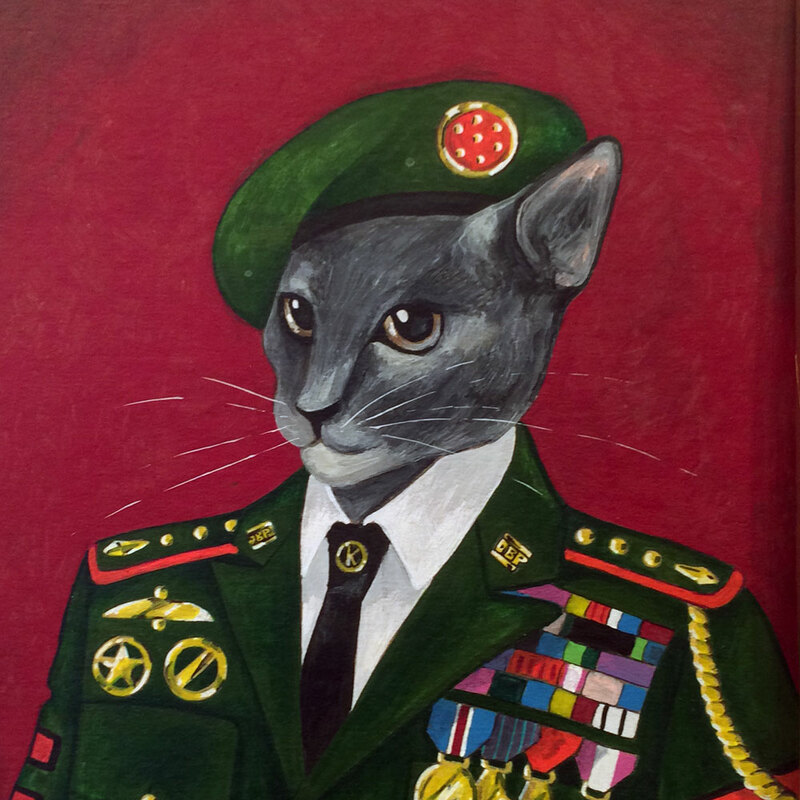 My paintings are a great way to showcase your pet’s personality. Every animal's inner life evokes a different costume. Perhaps your cat is a spoiled princess and must be made up in the finery of Marie Antoinette. Perhaps your dog is thoughtful and wise as Shakespeare. Maybe your Shiba Inu just looks really good in a black shirt with a red bowtie. Through my portraits, you can express your love for your distinctive pet. 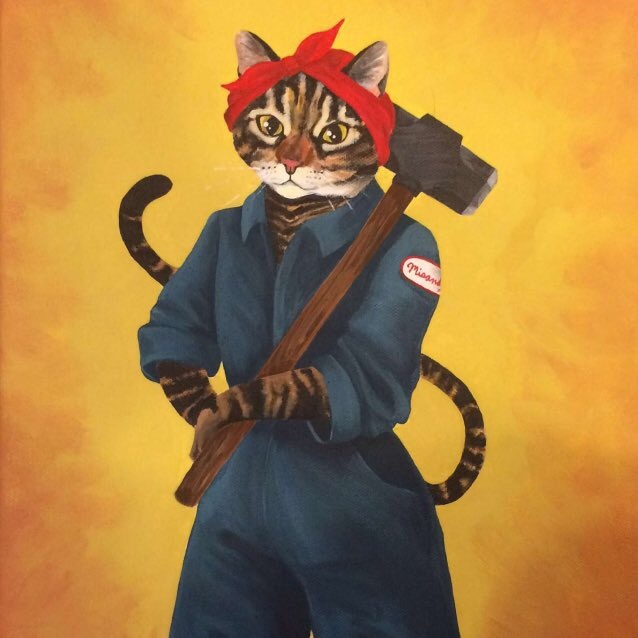 So, if you have been dreaming of having a custom painting of your beloved animal wearing an elaborate costume hanging in your home (or if you never considered it until now), your dreams are about to come true. View my gallery to get a sense of my work and to glean ideas for your own commissioned pet portrait. You can click on any of the images or the button above to go directly to my shop.